Often we are asked about driving tips for getting around safely in South Africa. Cape Town was recently rated by TomTom as the most congested city in South Africa and traffic seems chaotic on the main arteries often not only during rush hours. For most parts driving in South Africa is, however, a breeze, with generally good road conditions and still much less congested roads than in many other popular expat destinations. In general, driving in South Africa is not any more dangerous than anywhere else in the world, if you keep your eyes and ears open and watch the traffic. Drivers do not drive more aggressively than drivers in other parts of the world. However, driving in South Africa means encountering some different road dangers, such as uninsured and unlicensed drivers, badly lit or non-roadworthy cars or roaming wildlife. So please take the time to read our driving tips for South Africa and have a safe journey! 2. Practise a defensive driving style. Keep your cool when driving and do not show aggressive behavior against a bad driver. Road rage is increasing in South Africa and some drivers might take it very badly if you try to make them aware of their wrongdoings or if you insist on your right. 3. 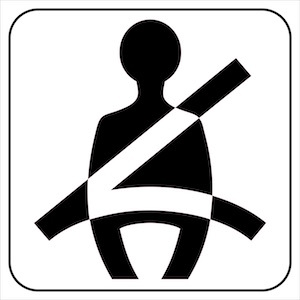 Seatbelts must be worn by all passengers including children. Since April 2015 every passenger in the car has to wear a seatbelt, in the front and in the backseats as well, and when travelling with infants, baby-seats are mandatory. For younger children, booster seats are a must have. You can rent baby-seats and booster seats from reputable car rental agencies. 4. Slower cars keep to the left of the road, faster cars pass on the right. In South Africa, slower cars often they drive on the shoulder to let other cars pass. Then drivers flash who want to pass that car, give sign by flashing the emergency lights and to thank the other driver for letting them pass. However, experience shows that here faster cars will pass to the left and to the right. Should you see a car approaching from the back, either change to the left lane or keep in your lane if the car seems to want to pass you on the left. Do not act hectically. 5. Be extra-cautious approaching traffic lights, slow down even if u have green lights and right of way. Always watch out for anybody skipping a red light or pedestrians crossing the road. With power cuts being a more regular occurrence lately, traffic lights can be out of order even at the busiest intersection. When traffic lights are out of order, treat the crossing as a four-way-stop. Then the first car which arrives at the stop line goes first. Always try to make eye contact with the other drivers and drive slowly into the intersection. 6. Avoid dark routes and park in well-lit streets. And always know where you go and, for your own safety, always tell somebody where you plan to go when you go out at night. 7. Never leave valuables visible in your car. Hide everything in the boot even your child's sandals, toys or a scarf. When driving stow everything under the front passenger seat, so to have easy access to it, but not to be in sight when street vendors walk around the cars at the traffic lights or stop signs. Wind up your windows when approaching a traffic light if the area seems unsafe. Smash and grab occurs occasionally in the Cape Town's CBD. 8. Always watch out for pedestrians or cyclists along the roads. 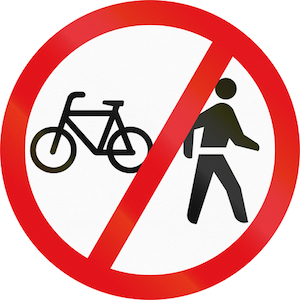 Even if there are signs prohibiting road use for pedestrians or cyclists, you will find even on busy roads, that people cross the roads or walk and cycle along highways. In South Africa, most of the fatal traffic accidents involve pedestrians and cyclists. Always keep an eye out for people trying to find a shortcut crossing a busy highway, especially during rush hour and at nighttime. 9. When minibus taxis are approaching, try to get out of their way, relax and do not get agitated. Their drivers might pass on the shoulder beyond the yellow lane or form an extra lane at the traffic lights. Be prepared for them to stop right in the middle of the road in front of you, for taking on or letting out their passengers. 10. Last but not least: Driving Tips: Make sure to have a spare tyre in your car. Some streets, parking spaces, even the main roads are littered with broken glass, nails or broken car parts (from precious accidents when broken off car parts hardly ever get brushed aside), so you always should come prepared. Once I had two flat tyres in one week, so please take this advice seriously. When renting a car always check the tyres too! Watch out for the motorbike riders that are swerving between cars especially when stuck in a traffic jam. Always double-check when crossing lanes. Be careful when approaching or passing 'bakkies', that is what pick-up trucks are called here, often are heavily overloaded either with workers or badly fixed loads. Do not pick up hitchhikers or give people you do not know well a lift. Always know where you go and, for your own safety, always tell somebody where you plan to go when you go out at night. Avoid driving in South Africa in the dark if you can as there are still a lot of not roadworthy vehicles on the road with insufficient lighting. Take out comprehensive car insurance. Many South African drivers are uninsured, so to protect yourself and make sure your car insurance is covering damage to your car as well, in case an accident was caused by another driver/vehicle. The same applies to your health cover, should you get injured through actions by an uninsured driver. Have some cash handy so you can tip a carpark attendant, i.e someone telling you he will protect your car, with a fiver when returning to your car. Official municipal car guards who work in the city and guard the street side parking bays are paid currently R11-15/hour, usually in advance. Do take a cell phone along when driving for any case of emergency. Add an ICE (in case of emergency) number to your contacts, so in case of an accident happening, medical personal will know who to contact for you. 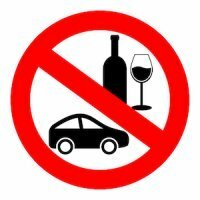 But don't use your phone when driving as it is not only dangerous but you can be fined too. 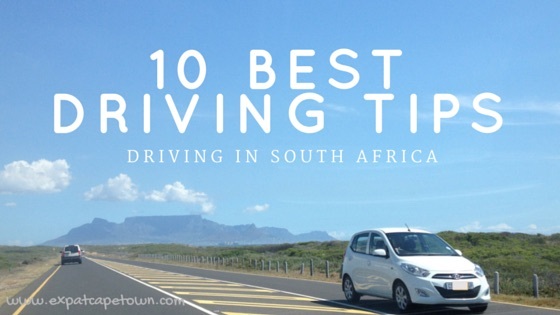 These driving tips help you feel more comfortable when driving in Cape Town. Let us know if we missed something.